Although Adams County, North Dakota, seems like cow country, one company connects it to the rest of the world. Killdeer Mountain Manufacturing, or KMM, is an aerospace manufacturing company that produces wire harnesses, circuit cards, and fiber optic assemblies which contribute to a global market. KMM’s manufacturing plants help contribute parts to both commercial transport airplanes and national defense aircraft. One of KMM’s first contracts was manufacturing the wire harness for the McDonnel Douglas F-15 Eagle fighter aircraft. Since their first contracts, they have since broadened their manufacturing to making components for commercial planes like Boeing 737, which is used for domestic flights and the Boeing 777, which is more suitable for intercontinental flights. According to spokesperson Kristin Hedger, KMM was founded in 1987 in troubled times. During this time, after having returned from working in the aerospace industry, KMM founder Don Hedger wanted to facilitate opportunity for western North Dakotans and opened KMM. 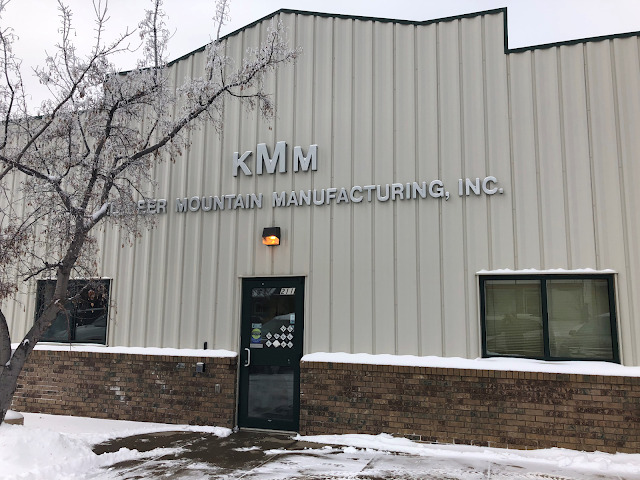 Since its founding in 1987, KMM has grown to employ over 370 people, with more than 30 working in Hettinger. Over 30 years later, KMM has contracts with major aerospace and defense contractors like Boeing, Lockheed Martin Corp, Raytheon, and many more. According to Hedger, KMM’s company growth is what brought it to Hettinger. KMM offers on the job training and a local supply chain that serves aerospace companies in the United States and all over the world. According to Hedger, to work at KMM a person only needs commitment to excellence and training will be offered, especially in entry-level positions. “… It is truly global in that we compete across the world. It really is a global opportunity for North Dakotans who want to excel,” said Hedger. In a time where many manufacturing jobs compete on a global scale, it’s difficult to keep jobs within the United States. Hedger said it was KMM’s quality product that keeps it competitive in a global market. According to Hedger, it’s North Dakotan’s commitment to family, community, and country that sets KMM apart from other competitors. “Our Customers really value that we are able to go the extra mile to meet a deadline or unexpected change,” Hedger continued, “North Dakotan’s help our neighbors and I think that we bring that to the table when we help our customers as well. KMM’s stable presence provides an economic backbone for small towns in rural North Dakota. While many jobs are switching over to the tech sector in places like Silicon Valley, California, manufacturing jobs are still able to thrive in rural America thanks to a strong mid-western work ethic.